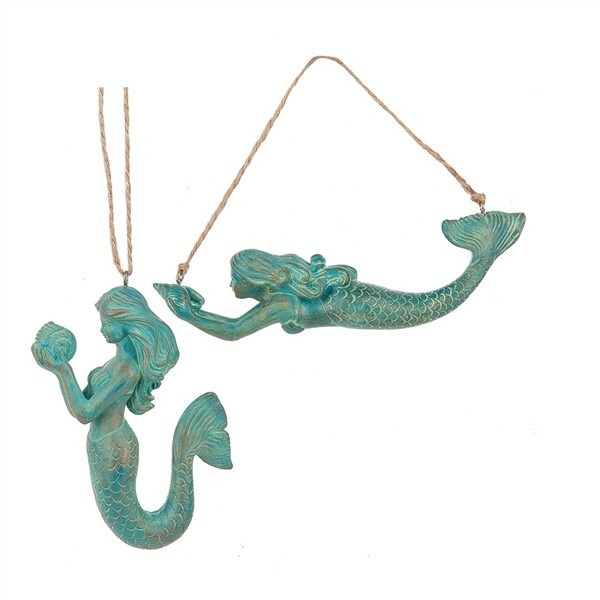 These mermaid ornaments are so cute, you may just need both! They are made of resin and are approx 2.25" x 5.25" x .875". The color is a pretty shade of teal washed over a light green. Great on your Christmas tree or in any beach room or cottage. Choose your favorites!